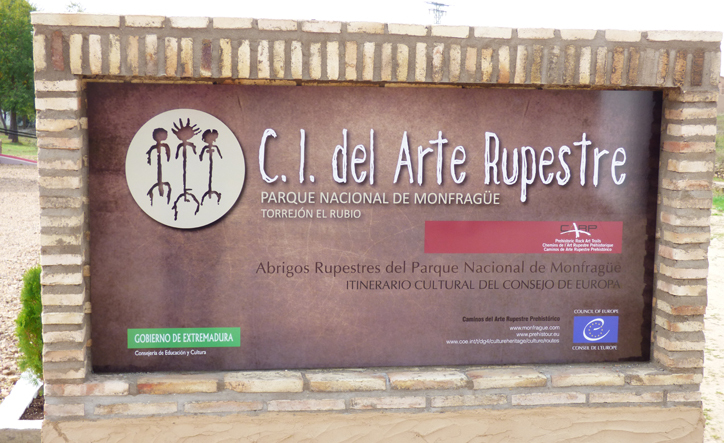 The Interpretation Centre of Rock Art of Monfragüe is a new tourist facility nestled in Torrejón el Rubio. The objective is to disseminate and publicize one of the greatest assets that exist in our region and so far goes unnoticed by tourists and residents themselves. 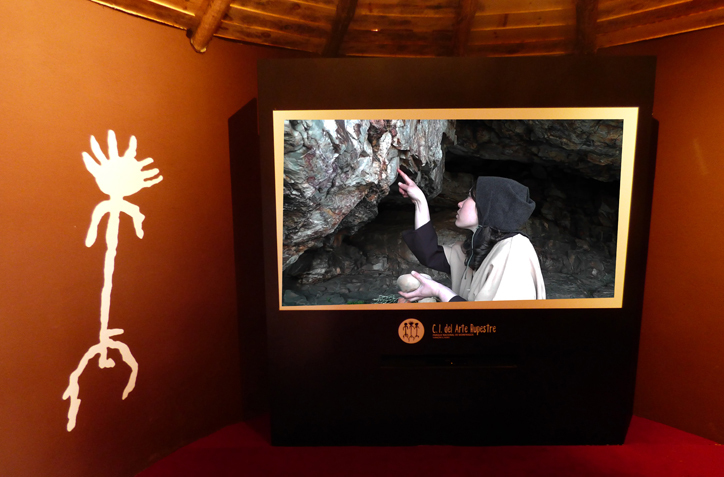 In the region of Monfragüe have been discovered so far, 107 coats of cave paintings. The oldest are dated over 8000 years ago in the Mesolithic period, while the closest in time correspond to the Iron Age, about 2800 years ago. In Monfragüe have one of the best sets of schematic cave paintings of the Iberian peninsula. All this has meant that the set of coats have been incorporated into the European Cultural Route CARP (Roads Prehistoric Cave Art) with the major sets of pictorial rock art in Europe. 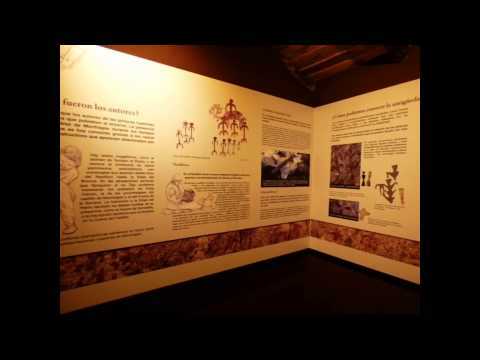 With this center we aim to diversify tourism Monfragüe, showing the visitor that the symbiosis between man and nature National Park dates back more than 10,000 years ago. These paintings have been integrated into the landscape and are part of it, but pass completely unnoticed. - CHOZO 1. Cave paintings in Monfragüe. An approximation to the cave paintings of Monfragüe by historical context, painting technique, the main reasons for them and be close to the way of life of the society of the time is done. - CHOZO 2. 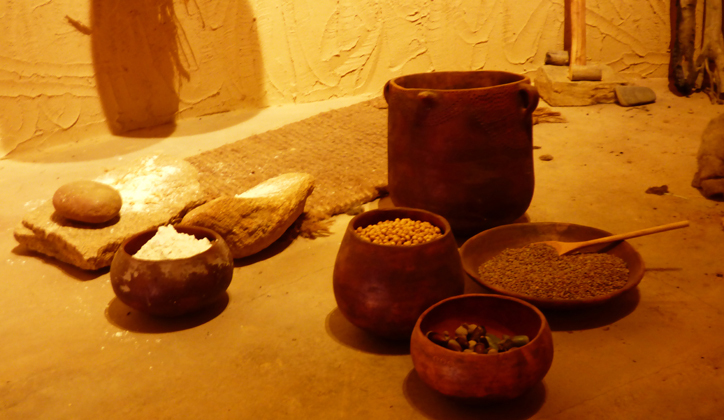 Recreation of a Neolithic hut. 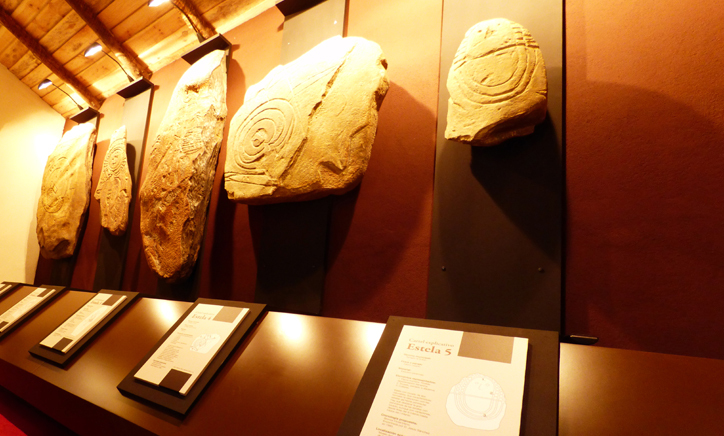 Visitors can learn how one of the houses of the Neolithic era, where some of the paintings that exist in Monfragüe is performed. - CHOZO 3. Stones of Torrejón. We approached the late Bronze age where a very interesting cultural phenomenon: stone stelae. Torrejon appeared five whose replicas can meet in the middle. We also seek social and cultural aspects as well as an approach to metallurgy and the dowry of the time, so important in the symbolism of contrails. - CHOZO 4. Traces of the past. We explain in a simple way how the paintings were made from the manufacture of pigment to the execution of the paintings. 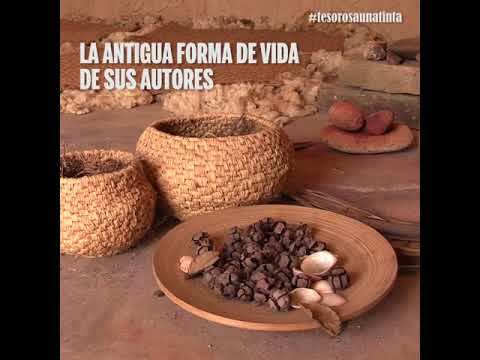 The schedule of the Rock Art Interpretation Center is from Wednesday to Sunday from 10:00 a.m. to 2:00 p.m. and from 4:00 p.m. to 8:00 p.m.
To visit it, you can visit the Monfragüe Birdcenter or do it by appointment on the following phone numbers: 927455292/927199579/685572015, at the e-mail turismotorrejonelrubio@gmail.com, ciarmonfrague@gmail.com or through our Reservation Center. - Under 12 years Free admission. In the National Park Monfragüe have been discovered 107 shelters with prehistoric rock art. This is one of the largest concentrations of rock art Peninsular Schematic. Along the mountains that form the National Park these representations are distributed in shelters, huts and small caves. Schematic Art arises about 7,000 years ago in the Neolithic alongside the development of the producing companies. Experts believe that this abundance of schematic art is due to the existence of two separate villages in the age of copper and bronze Peñafalcón, along with current Monfragüe Castle and near the Puerto de la Serrana. Existing rock paintings in the area start at the end of the Mesolithic and continue until the Iron Age. The size ranges from 30 inches and 2 inches and mainly used colors are red, black and white. The Rock Art Center Monfragüe besides knowing more about the data outlined above can meet in photographs and casts of 80 coats of 107 existentes.Esta wealth has meant that wraps Monfragüe are within the European Cultural Route Paths of Art Cave. Within the Interpretation Centre Cave Art has dedicated a prominent space for Estelas Piedras. These trails are a phenomenon that occurs at the end of the Bronze Age 2300 BC to 1300 BC Approximate mode and only occurred in the South West Peninsular. There are several theories about its function, from those who claim they were milestones on the road to mark the territory of the warlord, even those who think they are dealing with representations of religious, although most believe they were related to the funeral rite. There are two main types of stones Wakes: the warrior and diademadas. The first are called so because the elements that are represented are linked to warlord: guns, trousseau and male representations. The second are female trails where a female figure is seen with a tiara on her head along with other elements of layette as mirrors, combs and brooches. In most cases engravings are very sketchy, where human figures appear only sketched, weapons and regalia drawn very simply. In the center we approach 5 stone steles that have appeared in the town of Torrejon el Rubio, whose views can be seen in the hut dedicated to this art. This is one of the richest heritages of stone steles of the Iberian Peninsula, both for quantity, quality and originality of the pieces.